Maryland Code §7-306 and COMAR 20.50.10 establish the rules and regulations of net metering in Maryland. Systems eligible for net metering must be less than two megawatts (MW) in capacity or 200 percent of the owner’s annual baseline electricity usage. Maryland electric utilities and cooperatives are required to allow all eligible customers to net meter until the total capacity of net metered systems in Maryland reaches 1,500 MW. Norman Braveman with his solar installation. Utility customers with net metered systems will be credited for each kilowatt hour produced by their system and each month will be billed for the number of kilowatt hours they used, minus the number of kilowatt hours generated. If your generation exceeds your usage for a given month, you will receive a credit for each excess kilowatt hour, to be applied in later months when you generate less electricity than you consume. Utilities may not charge net metered customers new or additional fees or rates that they don’t charge non-generating customers of the same rate class. At the end of each 12-month billing cycle in April, utilities will compensate net-metered generators for their excess credits during that period at the average annual commodity electricity rate for their utility or their electricity supplier. So, while the regulations permit a customer to produce up to 200 percent of their annual usage from solar, for any generation more than 100 percent the customer is compensated in April at a lower rate for that excess. Aggregate net metering is available to agricultural producers, non-profit organizations, and municipal governments and their affiliated organizations. Virtual net metering is the vehicle Maryland is using for its three-year community solar pilot program. Once the pilot ends, the Public Service Commission will make recommendations to the legislature for future virtual net metering legislation. Having trouble interconnecting your system? 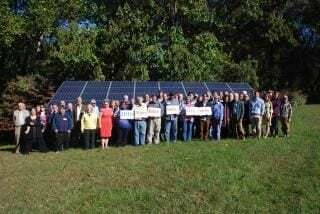 If you’re having trouble with net metering or getting your system interconnected, post to the Solar United Neighbors of Maryland listserv to get help. Our utilities exist to serve their customers. If you’re having a problem that isn’t being resolved quickly by your utility, file a complaint with the Maryland Public Service Commission. 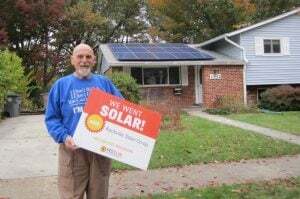 Learn more about how we fought to bring virtual net metering (community solar) to Maryland.